Just after 930 splits from I-69, turn left to stay on 930 east. 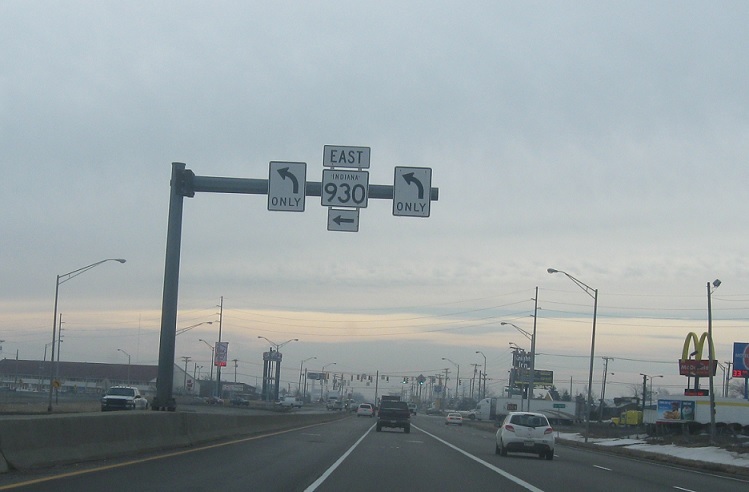 At the light, turn left to stay on 930 east. 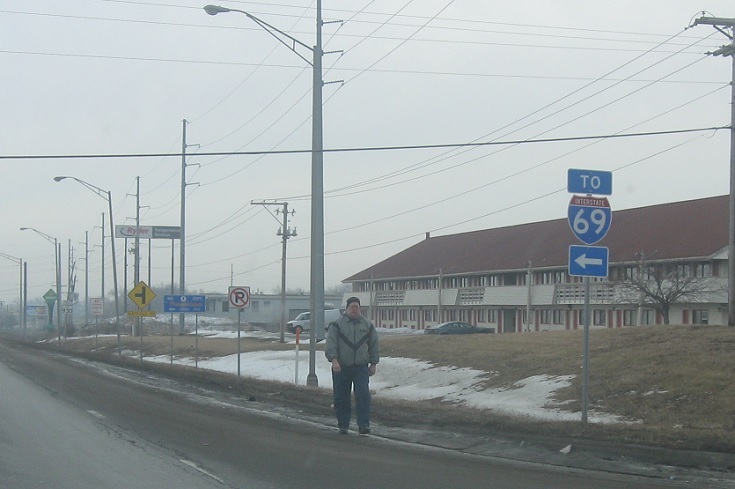 A block later, turn left to head back up to I-69. 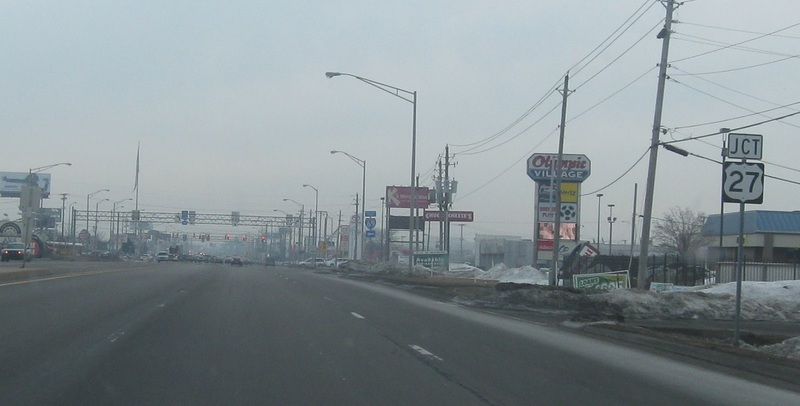 Reassurance shield after the I-69 turn. 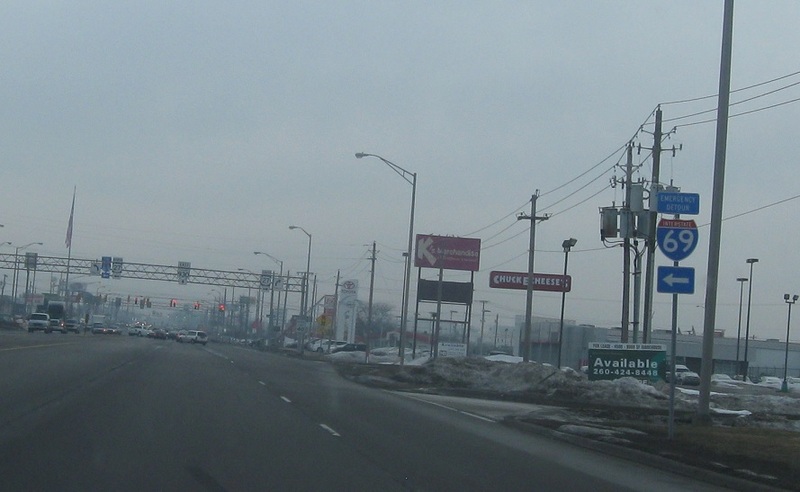 A few blocks later, we’ll approach US-27. 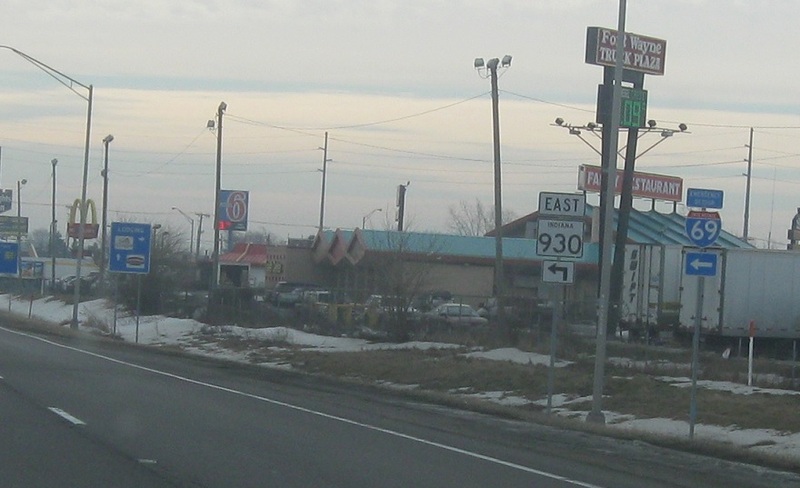 US-27 serves as the detour route for I-69. 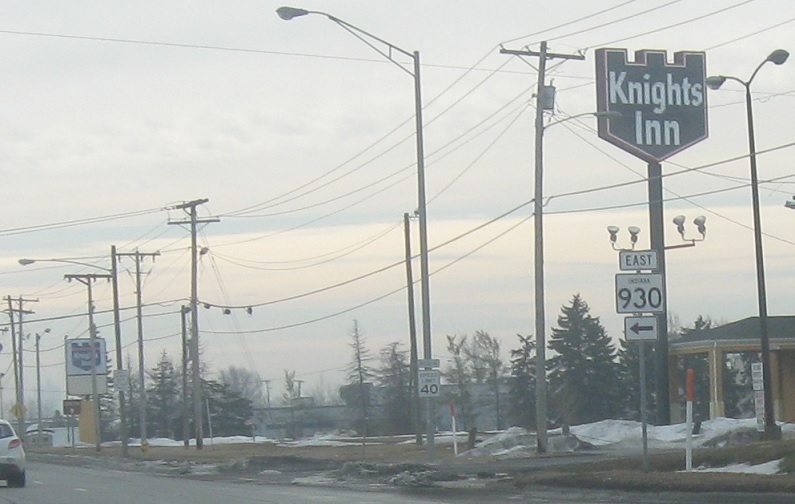 Turn left for 27 north to I-69. Turn right for 27 south. 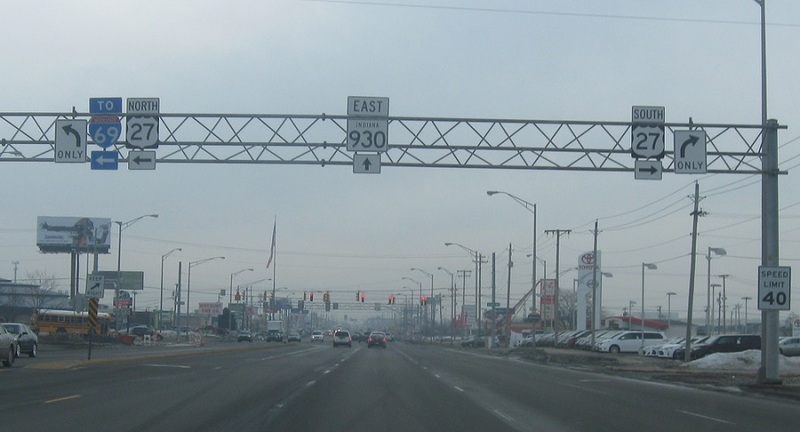 Stay straight for 930 east.